The draw of the Olympics on the television did nothing to deter keen buyers from our fourth Coins and Banknotes auction of the year. There were over 430 lots on offer. 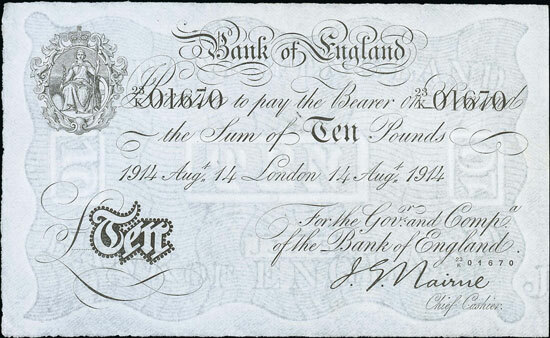 We began with British banknotes and this Bradbury 1914 first issue 10/- achieved £448. This unusual Nairne 1914 £10, graded as nearly extremely fine, realised £1,475. 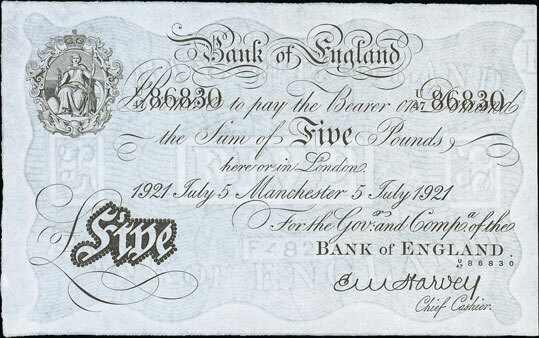 And this Harvey 1921 Manchester Branch £5 sold for £1,003. There were a range of error notes offered in this auction. 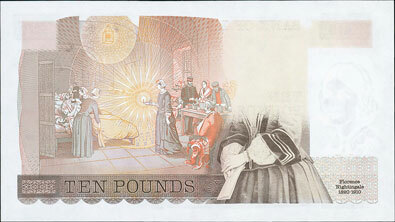 Examples included this Page 1975 £10 with missing top half of Nightingale which realised £129. 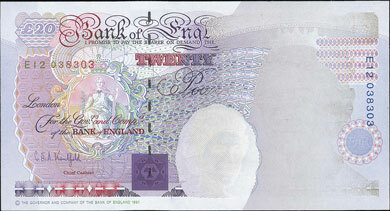 And this more modern Kentfield 1991 £20 with missing portrait of the Queen achieved £129. 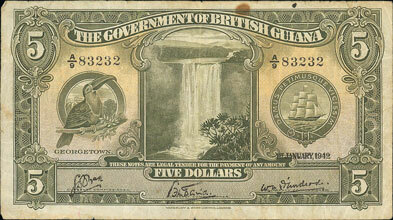 In the world banknotes section this British Guiana 1942 $5 sold for three times estimate at £507! 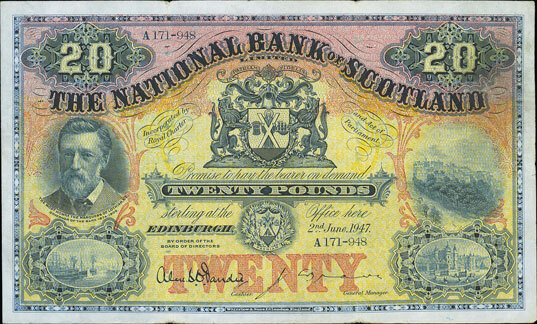 And this Scottish National Bank of Scotland 1947 £20 realised £271. 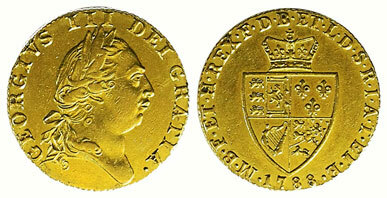 Moving on to the British coins section of the sale, this 1713 crown, graded as good extremely fine, achieved £855. And this 1788 spade guinea, graded as very fine, sold for £413. Gold coins performed exceptionally well this auction. 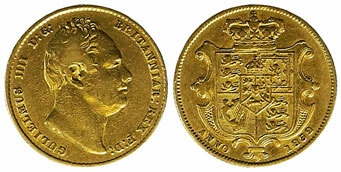 Highlights included this 1832 sovereign, graded as nearly very fine, which realised £708. 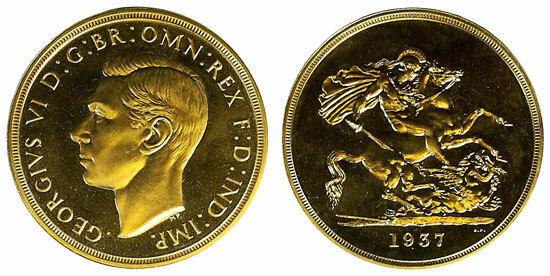 And this unusual 1937 £5, £2, sovereign and half sovereign proof cased set of 4, which sold for a whopping £12,390! Our next coin and banknote auction will be held on Wednesday 19th October 2016. Look out for the full catalogue for this sale, which will appear on our website in the next few weeks. Also keep an eye on our Twitter and Facebook pages which will include updates of our latest auction news.